The NES is 30 years old and to celebrate, the Shacknews staff is sharing some of their personal favorite NES games of all-time. First up, senior editor Ozzie Mejia. The Nintendo Entertainment System celebrated a milestone anniversary on Sunday, marking three decades since its debut in North America. For many, this is where their love of video games eminated from. The 8-bit era of games is one that remains close to many people's hearts today, whether it's the jolly retro gamer or an independent game developer taking elements of their childhood and modernizing them for a new generation of gamer. This week, members of the Shacknews staff will be taking a look at a handful of our NES favorites, what made them so great, and why they still strike a chord with us to this day. Honestly, there's no way a list like this can't start with Super Mario Bros. 3. It is widely considered to be one of the greatest games ever made, taking the genre-defining Super Mario Bros. and building on it in just about every facet imaginable. A vast number of mechanics and staples found in 2D (or even 3D) platformers since 1990 originated from this game. Think of everything that SMB3 made commonplace in games. There was the world map, the multitude of power-ups (including ones that granted flight), the multi-room puzzles, just to name a few. The level design was incredible, building upon everything which the first Mario game set the foundation. It's still as great a challenge today as it was when it first debuted and still as satisfying as ever to complete. 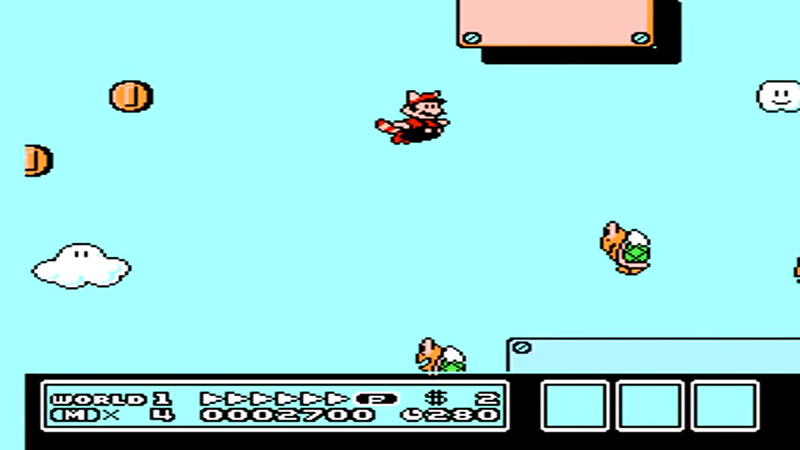 Nothing can equal the first thrill that came from taking to the skies as Raccoon Mario or finding the Warp Whistle for the first time behind the World 2 rock. The challenge of completing water stages as Frog Mario is still there, as is the challenge of trying to complete the last World 8 airship without resorting to cheating with the P-Wing. There's nothing like going on a rampage with the Hammer Suit, taking out seemingly-invincible enemies with ease. And there's still no better feeling in games than surviving Bowser's Castle and finally taking down the King of the Koopas himself. This is a game that has influenced generations and, through the countless games it has influenced in the years since, its legacy will live forever. What Mario did for the platformer, The Legend of Zelda did for the adventure game. There aren't many that will put Link's first game as the series' best. It's actually quite a testament to its greatness how many of these games can be considered not only the best of the Zelda games, but the best game ever made. But there's no denying that this is where it all started and it set the standard for what games of this type should look like. This is what every adventurer is looking for: A vast world to explore, filled with dangers, treasures, and secrets. The scope of the world was epic, especially for the time period, and even remains so today. It's a formula that's still widely prevalent today, not just in the Zelda series, but across a number of mainstream and indie games that have been inspired by Shigeru Miyamoto and Takashi Tezuka's ideas. 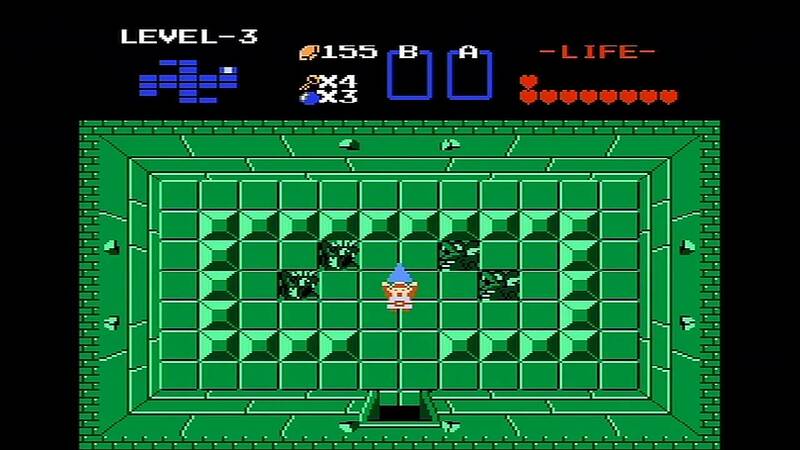 What makes the first Zelda even more incredible was its inclusion of a Second Quest, the first of its kind. It more than doubled the content of the original game by taking the original story and shuffling the pieces around, while also adding a higher degree of difficulty. This was the true test of the hero and anyone able to complete both quests was a true master. The 80s were filled with mindless action movies, many of which featured overly-muscled meatheads and silly catchphrases. But many of those movies were also sci-fi scarefests that centered around aliens. What's slightly puzzling about the NES is that with so many licensing tie-ins, there weren't any official games based on the Alien movies. But Konami, feeling inspired, stepped in with its own and it's one of the games that set the standard for run-and-gun shooting. 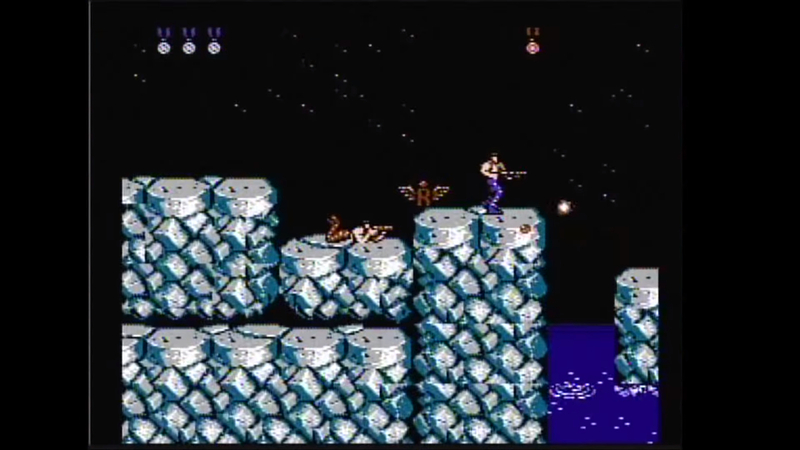 Contra put one or two players up against a relentless alien menace. It was just the high difficulty or the arcade-style shooting that made Contra such a treat, but it all came down to the rush of power that came from collecting any of the game's power-ups. The Spread shot that could take down multiple aliens at once, the rapid-fire Machine Gun, the powerful (and painfully slow) Laser, just to name a couple. And while many of the games mentioned prior to this are remembered for their soundtracks, Contra's music definitely deserves a mention as some of the best of the 8-bit era. Nothing better prepared an impressionable young kid for a day of wiping out a horde of alien invaders. It perfectly encapsulated 80s action and remains one of the best games of its kind, inspiring dozens of homages, like the 90s classic Metal Slug. One wouldn't think of cute and adorable dinosaurs getting chased down by equally adorable enemies would make a dent on any kind of "Best of" list, but Bubble Bobble still stands as an all-time classic. Take the earworm of its neverending theme song and set it to the side for a moment. 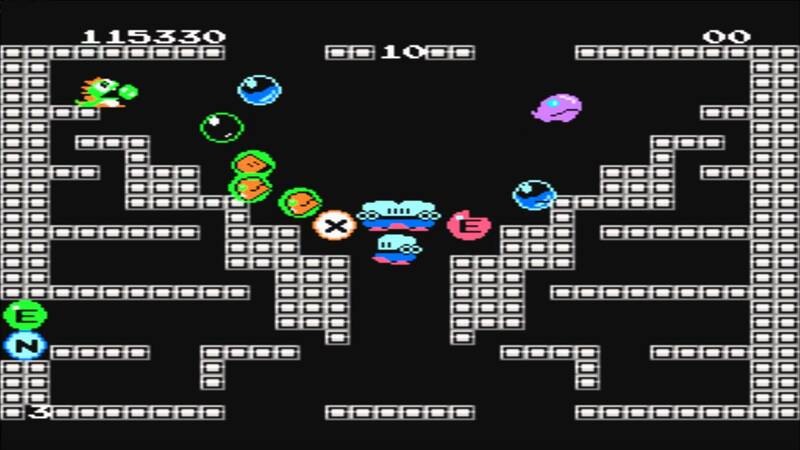 Bubble Bobble took a central mechanic of locking enemies in bubbles, bouncing on top of them, and popping them to destroy them. It sounds whacked-out on paper, but it worked exceptionally well thanks to some clever level design. Many stages came packed with their own puzzles that required a player (or two) to think outside the box on how to take out a stage's enemies. The journey from level 1 to 99 was frought with peril, but also filled with secrets, loot, and some good old-fashioned competition. As much as it was to try and finish the Bubble Bobble story, its true lure was the idea of competitive co-op and seeing who could rack up a higher score. In fact, some of the fun came in sabotaging your partner. It didn't lead to finishing the game or anything, but it was still loads of fun. In terms of products of the 80s, there was arguably no greater one than Disney's DuckTales, a beloved cartoon that many of today's older generation of gamers and game developers grew up with. 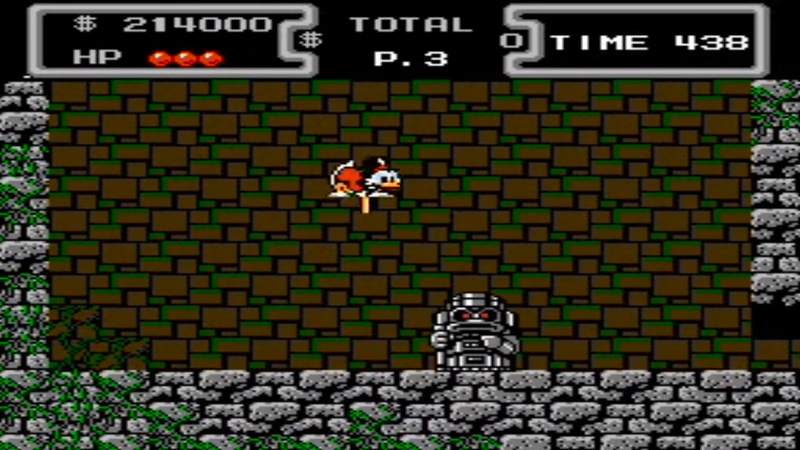 In an era of disappointing movie and TV tie-ins, where the objective is to cash in on an audience's love of a license, DuckTales on the NES was among the first games to buck this trend. Capcom applied many of its platforming principles from games like Mega Man and Ghosts 'n Goblins and applied them to Uncle Scrooge, offering more than a TV tie-in. It was a fantastic platformer in its own right. The game was so loved by its audience that audiences were crying out for a remake for years, a call only recently answered with the release of DuckTales Remastered. What made DuckTales such a memorable piece of 8-bit history? Well, there's nothing quite like being able to bounce around a level on a pogo cane, is there? Look for the rest of the Shacknews staff to chime in with some of their favorite NES picks later this week. If you have some of your favorites you'd like to add, be sure to join the conversation and let us know in Chatty. I really like your list. Of those, Bubble Bobble takes the prize. The music truly invokes what it feels like to having a good day while playing video games. All of those are friggin awesome. Needs some Double Dragon love though! Adventurs of Lolo and Solar Jetman are 2 of my favorites not mentioned already.